Silicon in lithium-ion batteries may be the answer to multiplying battery capacity, research from the University of Eastern Finland has found. If silicon, the world’s second most abundant element after hydrogen, is used to replace graphite anodes it is possible to quadruple anode capacity, the University concluded. The study analysed the suitability of electrochemically produced nanoporous silicon for Li-ion batteries. Nanoparticles are required for silicon to work in batteries, which brings its own challenges in terms of production, price and safety, the University added. However, the study found that particles sized between 10-20 micrometers with the right porosity were in fact the most suitable for batteries. 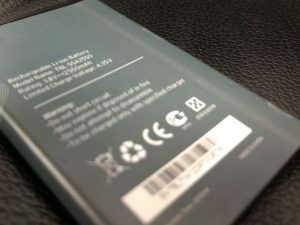 The University says the finding is significant, since micrometer sized particles are easier and safer to process than nanoparticles, which has a beneficial impact when it comes to recycling a battery too. The researchers plan to continue their research using silicon sourced from agricultural waste, for example barley husk ash, which would make the silicon more commercially viable.